THE National Aids Council (Nac) has begun offering HIV testing and counselling services at police roadblocks during public holidays, targeting mainly Zimbabweans who are based in South Africa and Botswana popularly known as injiva. In an interview last week, acting Nac provincial manager for Matabeleland South province, Mr Prosper Mupa said the roadside intervention was part of a battery of strategies being implemented in the province to fight HIV. Matabeleland South province is one of the country’s HIV hotspots with the highest HIV prevalence rate of about 21 percent, seven percent higher than the national prevalence rate. Mr Mupa said spousal separation was one of the biggest drivers of HIV in the province hence the need to test and counsel returning Zimbabweans before they get home to their partners. “Roadside interventions are being conducted during public holidays when most migrant workers will be returning from South Africa. We work with police and pitch our tents at roadblocks where we will offer wide ranging service to the returning workers. “The idea is to counsel them to make informed decisions when they get home to their partners after such a long time,” he said. He said the response to the roadside interventions had so far been encouraging and there was a possibility of spreading the strategy nationwide if it proves to be successful. “So far the response has been positive and we have been pleasantly surprised. Since we have started it as Matabeleland South, if other provinces see it to be effective I’m sure it can be scaled up nationwide,” he said. Mr Mupa said Nac was also targeting truck drivers by bringing HIV services to various truck stops near the country’s borders as one of the many strategies being implemented to fight HIV. He said truck drivers were among key populations at high risk of HIV infection. “Due to the nature of their work, truck drivers are at risk of contracting HIV, so we are bringing the services closer to them. The idea is to give such key populations as much information as possible, while at the same time we provide testing and counselling services,” he said. Mr Mupa said Nac was also holding interventions targeting religious groups. 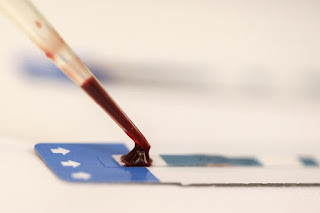 He said in the second quarter of this year, the council extended HIV testing and counselling services to members of an Apostolic sect during a church meeting where the positivity rate was 30 percent. “The positivity rate was higher than our normal positivity rate of plus or minus 15 percent. I can’t really explain why the positivity rate was as high. I think we may need to conduct a study to investigate the factors leading to this,” he said. Nac is also conducting moonlight testing, sports and musical galas and the stop the bus campaign as part of efforts to spur the country’s drive towards meeting the 90-90-90 targets Aids epidemic as a public health threat by 2020.